U.S. President Donald Trump’s recognition of Jerusalem as the capital of Israel was “a declaration of a new Jewish-Crusader war” and all Muslims have a duty to “liberate” the holy city, a senior Al Qaida leader said in a video released on Jan. 22. 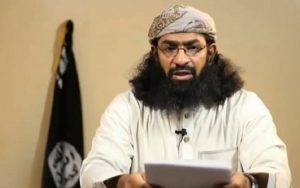 “No Muslim has the right to cede Jerusalem no matter what happens,” said Khalid Batarfi, a top commander with Yemen-based Al Qaida in the Arabian Peninsula (AQAP). “Only a traitor would give it up or hand it over. Let them [Muslims] rise and attack the Jews and the Americans everywhere,” Batarfi said in an 18-minute video entitled “Our Duty Towards Our Jerusalem”, the SITE Intelligence monitoring group reported. Trump on Dec. 6 said his administration would recognize Jerusalem as Israel’s capital and would move the U.S. embassy from Tel Aviv to Jerusalem. During a speech to Israel’s Knesset on Jan. 22, U.S. Vice President Mike Pence said the embassy would be moved to Jerusalem by the end of 2019.